Georgia: The football betting appnumber one producer of broiler hens, peanuts and pecans in the country has a bolstering local food movement. The Georgia State Department of Agriculture backs the Georgia Grown campaign, while numerous farmers, eaters, chefs and advocates are helping it all come home to the table. 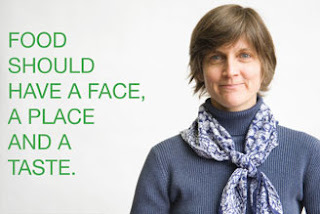 One such woman is organic farming advocate Alice Rolls, Executive Director of Georgia Organics. Her organization has built its programs around helping Georgia's growers connect with eaters through certification education and by connecting the dots between local food and the local economy. In a recent study they did to quantify the impact of local food purchases and found that Georgians "spend 20 billion on food purchases... and 16 billion of that 20 goes to out-of-state producers. So if we could even capture 10% of that money," says Alice, "we'd make huge strides in supporting our agricultural economy here in Georgia." This conversation is happening all over the country as states, communities, and food businesses grapple with the need for infrastructure to help meet local food demand. Snap. Snap goes the careful sun and newly blue sky. Snap go the peas. Snap go the baby lettuces and mustard greens with their first knife cut. Snap go the crimson blossoms of the dogwood and red bud. Snap goes the oyster shell. Snap goes the cork on the rosé. Snap goes spring. We sit in our old metal chairs on the warming pavement and admire the longer light, the warmer wind, the rapid growth, the burying of roots in the ground, the busting up out OUT of shoots, buds, branches. What will this year's garden give rise to? We can't wait to find out. With all of this talk about the ever-more-visible new era of sustainable food and farming advocacy in Georgia, I would be remiss to not mention Farmer D or Destiny Organics, two farm enterprises that have added much to Georgia's local flavor. Nor would it be appropriate to not cover one of the most successful multi-generational farms in the state, White Oak Pastures. This fourth generation organic and grassfed cattle ranch is run by Will Harris, also on the board of Georgia Organics, and supported by his family. One particularily active member of the family is one of the youngest daughters, Jenni Harris, who was interviewed my media guru Mandy Sewell below, and is well on her way to changing the food system. For the better. A dusty highway three hours down from Atlanta will lead you to White Oak Pastures, a grassfed beef producer and Georgia’s largest certified organic farm. On the rolling acres of pastures, you’ll likely find 23-year-old Jenni Harris, the youngest of five generations that have operated White Oak Pastures continuously on the same land in Early County for 144 years, out with the cows (and now chickens and turkeys). Or perhaps she’s up in Atlanta, helping spread the word about her farm’s animal welfare standards and green endeavors to local restaurants, gourmands and purveyors. Jenni works closely with her father, owner and fourth-generation cattleman Will Harris in their efforts both on the farm and off. 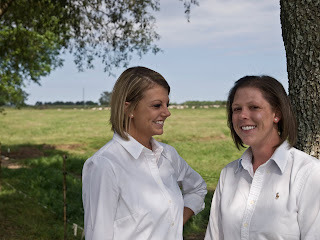 We sat down with her to ask her a few questions about growing up on Bluffton’s famous farm. MS: What was it like growing up on White Oak Pastures? JH: Growing up on the farm was an experience I wouldn’t trade for anything. Of course, I was always envious of those who lived in the fast paced city, only minutes away from the movies and restaurants. My Friday nights involved football games and dirt roads, which I can’t complain about. I love being from a rural Georgia town, where everyone knows your name, your parents, and if you made the honor roll last semester. The earliest memory that I have of my Daddy happens to be on the farm. I distinctly remember it being a raw winter morning, before sunrise, and hay feeding the cows. I pretended I was sick the night before, so I could stay home from church, knowing good and well I would be on the tractor with my Daddy the next morning. The ground was covered in frost, and I was wearing my coveralls and brown cowboy boots. We pulled one hay trailer after another to each pasture with the red tractor that we still have today. MS: Growing up while watching your father change the farm into a grass-fed operation must have been an interesting time. Do you remember what the initial reaction of the farming community was? JH: Going grassfed in the commodity market was a risky venture. I believe my Dad saw the changes in consumers buying habits before they saw the changes themselves. He began transitioning our farm into the grassfed farm it is today, while his friends and neighbors were still selling calves into the commodity market. People were curious as to what my Dad was up to, and not confident he would succeed. Now many of our neighbors are raising cattle for us, on the grassfed model. MS: When did you decide you wanted to follow in the family business? JH: I always knew I would be involved on the farm somehow. I knew I was not interested in making industrial beef production my career. I never had a desire to raise cattle for the commodity market, but when Daddy started transitioning the farm, it completely changed my perception. I have a completely different view of the definition of farming, than I did in high school. To me, farming was A) for boys B) three crops: corn, cotton, peanuts C) not cute. Now, I see farming as a cycle, where focus is on multiple aspects working together, not just one mundane routine. I became a full time White Oak Pastures employee in June 2010, after working in a corporate work setting for a year. I enjoyed my first job, but I quickly realized how frustrating ‘not being is control’ felt. JH: Fortunately, my Dad and I see most everything eye to eye. We rarely argue and when we do, it never lasts longer than 30 seconds. For the most part, our biggest differences come from males and females having different outlooks. He wants more to manage; I want less… He has big ideas; I pay attention to details… He is quick to react; I take a minute… He is never scared of anything; I might be bit timid. 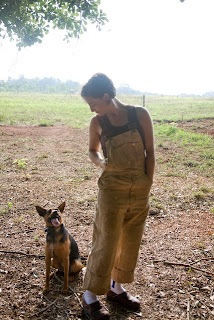 MS: What’s it like being a woman in the world of cattle farming? JH: Of course, it doesn’t sound glamorous, being a woman in the cattle industry, but I am not the least bit intimidated. If the commodity cattle industry (which is predominately run by men) was perfect, then the grassfed cattle industry would not exist. Women have many attributes that set them apart from men. One of those traits is nurturing, which is exactly what we have to do to the land; take care of it and it will take care of us. MS: Besides raising delicious grass-fed beef, what hobbies do you enjoy? JH: As for hobbies, I love being outside! Traveling is a must, and I believe I have perfected living out of a suitcase. I couldn’t pick between the beach and mountains if my life depended on it, and being with friends and family makes life worth living. Mandy Sewell is the social media manager at Melissa Libby & Associates, an Atlanta public relations agency with clients in the food, beverage and retail industries. Mandy and the MLA team also blog about culinary adventures around town with the company blog http://atlantadish.blogspot.com/. Submit your story by clicking here.